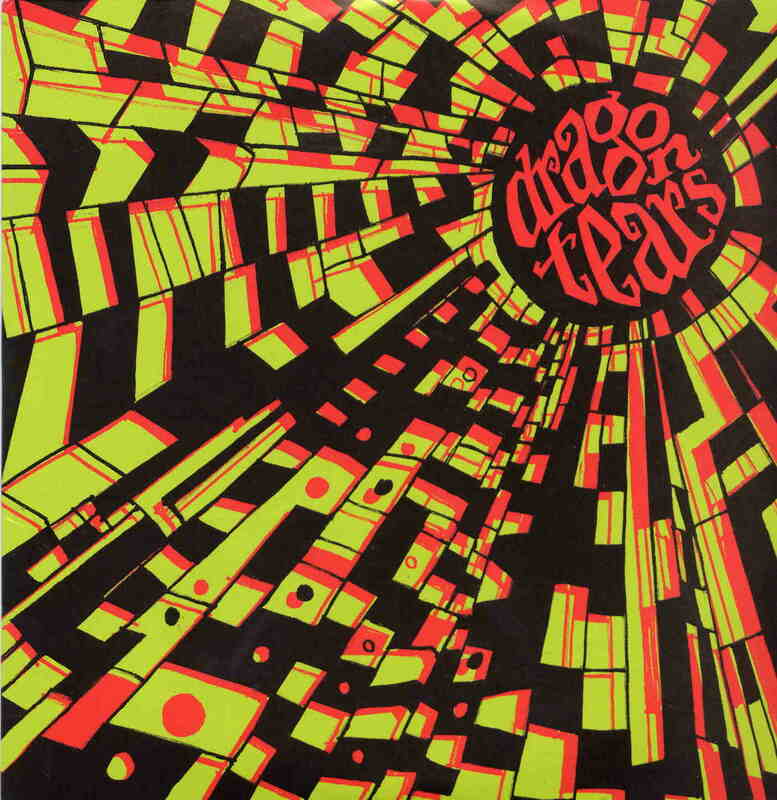 Dragon Tears is not really a band but the name of a jam session when the old On Trial/Spids Nøgenhat guys meet up with the Baby Woodrose guys and do some drugs and make some killer psychedelic rock!!!!!!!!!!!! The CD begins with Microdot, a totally spaced out track with really cool vocals by Lorenzo. The sound is really amazing with backwards guitars, acoustic guitars and plenty of delay!!! Borderline features this really raw drum beat box sound and a very psychedelic guitar and organ taking you back to 1967! Super cool stuff. Hobbitten’s Drøm is a short, dreamy piece with organ, spaced out guitar and a total acid vibe… Doublestains, could easily be a Baby Woodrose song if you gave the band some acid! The Doors of Perception is a totally Krautrock meets 13th Floor Elevators track, stretching out for 14 minutes and very repetitive and with loads of stuff hiding in the soundscape… Don’t get too stoned…. Heliodrone is a strange 2 minute piece to help you put your mind back together after The Doors of Perception… Great, no, amazing world class psych classic.